Based on the true story of Cinnamon, this tale addresses the reality of puppy mills while keeping the story light, warm, and accessible to young readers. Sashi and the Puppy Mill Girl is the third in the award-winning Sashi series of children’s books. (Follow link to visit the author’s website). 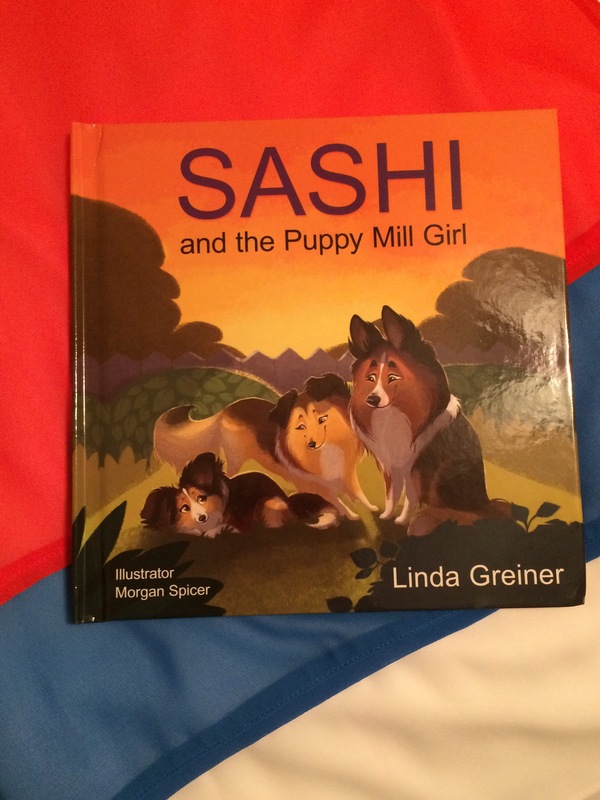 About: Sashi and the Puppy Mill Girl is a children’s picture book written by Linda Greiner and illustrated by Morgan Spicer. It was published on 10/4/2016 by Brown Books Kids, hardcover, 40 pages. This book is for ages 3 to 10, grades P to 4. 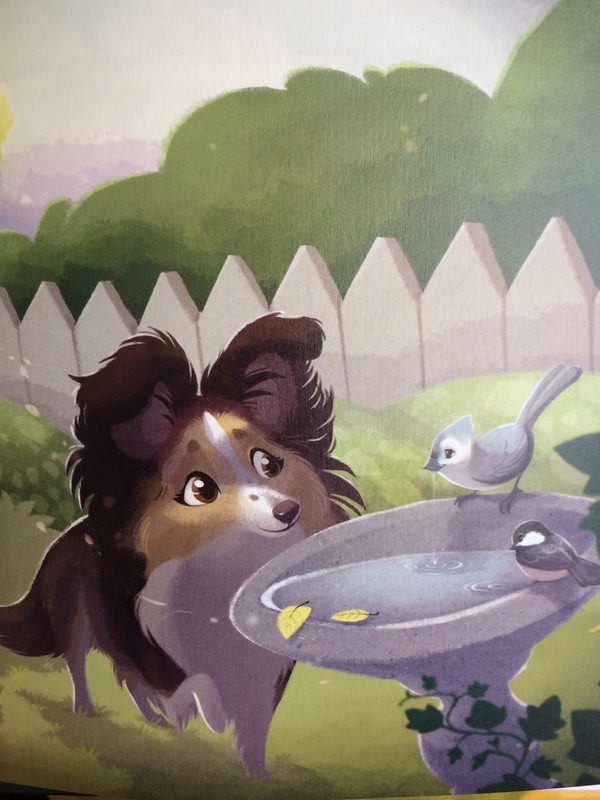 There are 3 books to this series: book 1 is called Sashi the Scared Little Sheltie, book 2 is called Sashi Adopts a Brother, and book 3 is called Sashi and the Puppy Mill Girl. Please read more about the author below. (The links here will take you to the publisher’s website and my review of book 1 & 2). My Experience: I read Sashi and the Puppy Mill Girl for my 5 year-old son as his bedtime story on 1/28/17 and finished it that same night. We read it again on 1/29/17 and 2/4/17. As you can tell, we love reading this book and this whole Sashi series. In this book, Sashi’s adoptive family brought home a new foster dog. This sheltie is sad and unlike other shelties who came to stay before. This sheltie, Cinnamon, has been rescued from a puppy mill, a place where animals are kept in small cages and are mistreated. Since Cinnamon never knew love or kindness, Sashi and her brother Buddy became like a family and a friend to her. Sashi’s family slowly allow Cinnamon to get adjusted to her surroundings: walking on grass, listening to birds, guard the backyard from squirrels, etc. Soon Cinnamon became less afraid and play with Sashi and Buddy. Cinnamon is being taught many lessons so that she can be ready to be adopted by a new family. Cinnamon is being trained to walk with a leash, go outside instead of having accidents in the house, etc. We enjoy reading and learning the steps it takes to getting a dog ready for adoption. The Sashi series is a real treat to read. It introduces kids and parents about having a pet. The decision to have a pet started with whether to buy a new pup at the pet store or go to the rescue shelter to adopt. Once learning more about the vulnerable of animals being given up by the pet owners’ or kept by the puppy mills, many animal lovers may take it upon themselves to volunteer to provide temporary homes until a new family adopts them. The Sashi series focus on helping Sheltie, a breed of dog originally originated north of Scotland. 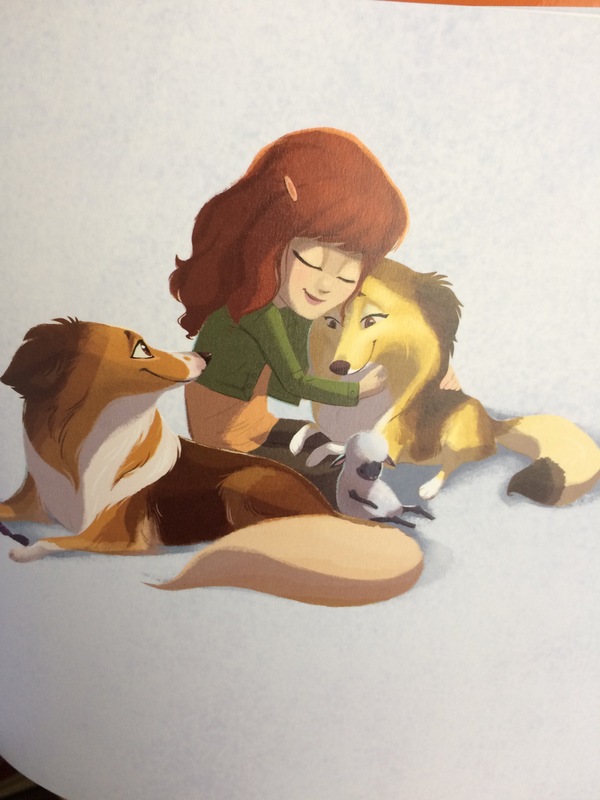 At the end of each book, there is a section for the adult and another section about Sheltie. Overall, I highly recommend parents to read the Sashi series for children because it will teach them to be kind to animals. Further note, this series is a recipient of the prestigious Mom’s Choice Awards®, another reason this series is a must read! Sounds like a great read and I like the fact that you read it with your child. 3 reads makes it clear that your child really liked it. Great review.